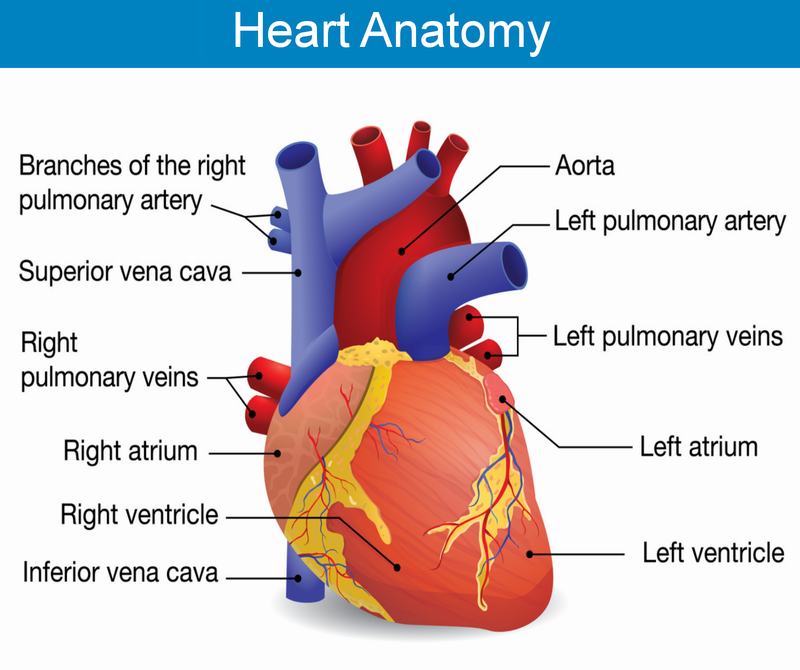 Cardiopulmonary Arrest (cardiac arrest, heart attack) occurs when there are ineffective contractions of the heart that cause a cessation (stoppage) of blood circulation throughout the body. The end of circulated blood will eventually lead to a patient falling unconscious due to a lack of oxygen to the brain if no action is taken. Brain damage is also possible if circulation isn’t resumed. An immediate response is crucial in saving the life of a cardiac arrest patient. It's critical to perform CPR immediately. Specifically, a Heart Attack is when the heart isn’t receiving oxygenated blood. When a patient isn’t receiving oxygenated blood, vital organs throughout the body can no longer function. The patient may experience pain in the center of the chest, sweating, nausea, dizziness, and faintness. Pain may be felt throughout the body in areas such as neck, shoulders, jaw, teeth, and arms. Treatment: Call 911 immediately or rush the patient to the nearest hospital if symptoms of a heart attack are appearing. Have the patient chew aspirin (unless allergic or told otherwise by the 911 operator). If the patient is unconscious or unresponsive, perform CPR. May, or may not be a life-threatening heart problem. Chest pain may feel like a sharp, stabbing pain or a dull ache. 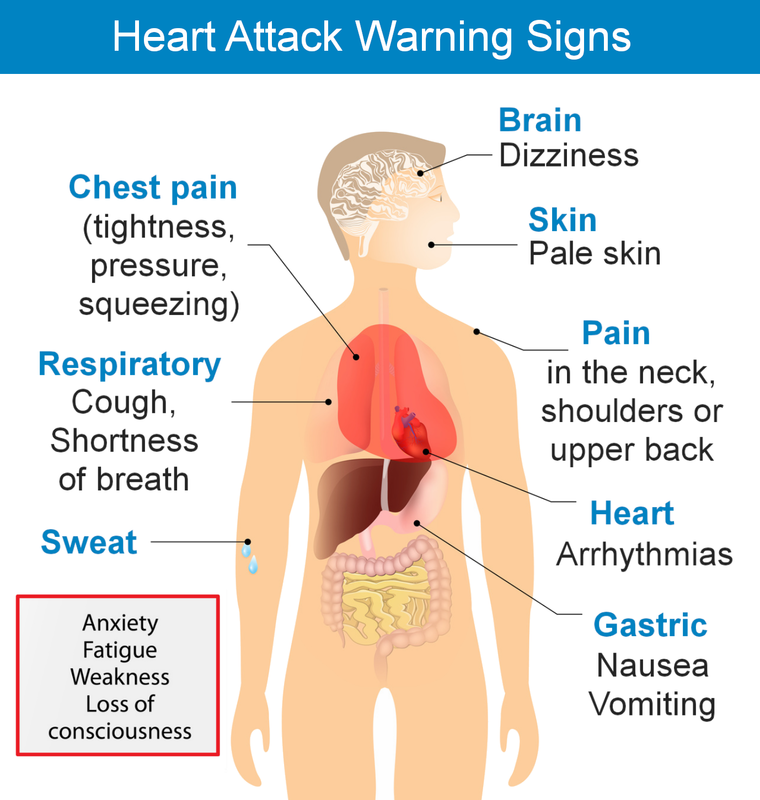 Treatment: For patients with chest pain, the provider may encourage the patient to chew one adult or 2 low-dosage aspirins (if signs suggest the patient is having a myocardial infarction, or heart attack, and if the patient doesn't have allergies to aspirin). If the provider is unsure or uncomfortable with giving the victim aspirin, wait for guidance from 911 personnel. Respiratory arrest is the cessation (stoppage) of oxygen throughout the body. Failure of the lungs to deliver oxygen can result in death if no action is taken. A lack of oxygen to the brain will cause a loss of consciousness and death. Immediate treatment is essential for the chances of survival. Treatment: Artificial ventilation treatment is the standard emergency action required for saving respiratory arrest patients. Call 911 immediately and perform CPR.